Crystals energy and their makeup are said & proven in experiments enhance water molecules for our benefit. 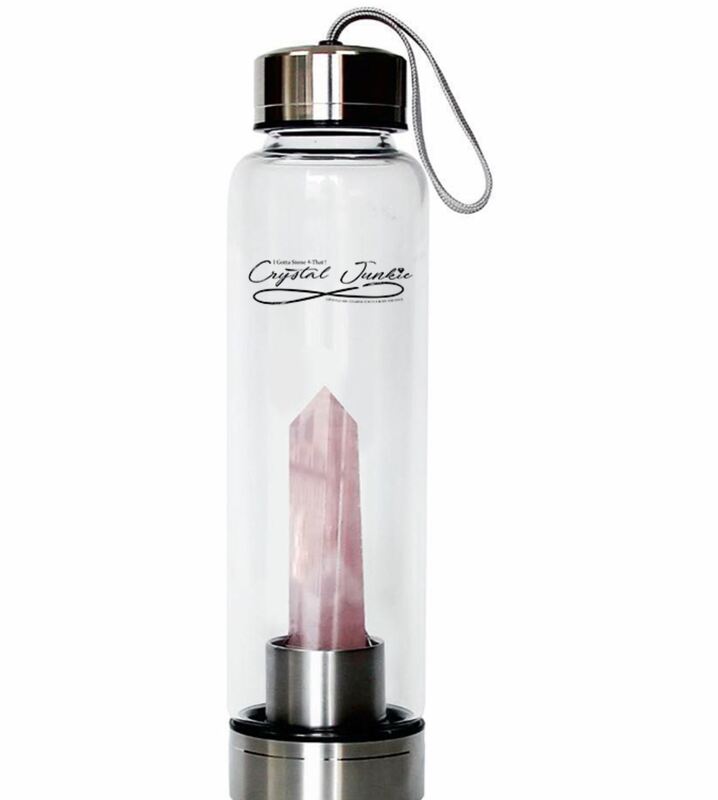 Drinking crystal infused water, is super cool and can do the body good! Water is hydrating and now you can add to the fits with crystal charging it. I call it Vibe-in' it. Time to Charge your water! Crystal infused water ROCKS! Crystals are a Natural Elixir, have you heard of Dr. Emoto? He is famous scientist. Known for his his experiments with water and the molecules charging. He proved scientifically that positive talking, words and thoughts at an object such as water and plants gave "positive charges" to the water and plants. Pretty amazing. Think of it, , plant, water, - what about a person, I know I love and feel great when people talk nice to me! It changes my mood, my Vibe to be brighter, better happier! Crystals are already natural remedies for people, infusing positive charged crystal in our water charges it with positive vibes, enhancing the molecules for betterment.